Over the past few years, CodePath has trained 2000+ engineers at 100+ companies in Silicon Valley. We’re proud of the fact that no individual has ever paid for a CodePath course. We believe the best education in the world should be freely accessible and we’ve been fortunate to work with great companies like Facebook, Uber, Airbnb, Box, and others to help make this vision a reality. Alumni of these classes include one of the co-founders of Reddit, a former tech lead for Apple Watch, head of Android for Coursera and many now prominent iOS and Android developers across Silicon Valley. From teaching so many engineers across the major technology companies, we’ve learned that talented developers don’t always have the typical background. Strict quality standards, partnerships with organizations like Women Who Code, and a gender and color blind selection process has allowed CodePath to achieve diverse representation with about 40% of CodePath’s honors students coming from historically underrepresented groups in tech. Some may find this statistic unexpected because CodePath is not a diversity and inclusion organization. CodePath solely looks at technical ability and potential in the application process and strictly removes students from the course for missing class or assignments. Solving for diversity in tech is a complicated issue and we don’t claim to be experts but one thing has become clear to us: In a meritocratic environment, removing barriers to access increases representation across both ethnic and gender groups. At the beginning of the year, we announced a program called CodePath University intended to give students from underrepresented backgrounds at a variety of colleges free access to Silicon Valley’s premier iOS engineering curriculum. The program had two goals: 1. See if talented engineers are distributed across a variety of socio-economic, ethnic, and gender backgrounds and 2. provide a bridge between traditional CS and industry programming standards that will directly lead to job opportunities. We took our iOS engineering curriculum and adapted it for the university student and brought it to 17 colleges nationwide. The most competitive school we worked with is ranked number 6 in CS. The least competitive school we worked with does not rank in the top 400 CS schools. We are excited to share with you the progress we have made from our very first pilot of CodePath University. In the 2016 Fall Semester, 3,400 students applied to the CodePath University Pilot program. For the first run, we accepted 300 of our applicants representing a total of 17 Universities. We targeted a variety of schools, both schools that have excellent engineering curriculums as well as schools that do not rank in the top 400 CS schools nationwide. We wanted to give dedicated and hardworking students the opportunity to be seen through the strength of their portfolio, students who may have otherwise been overlooked by industry recruiters. 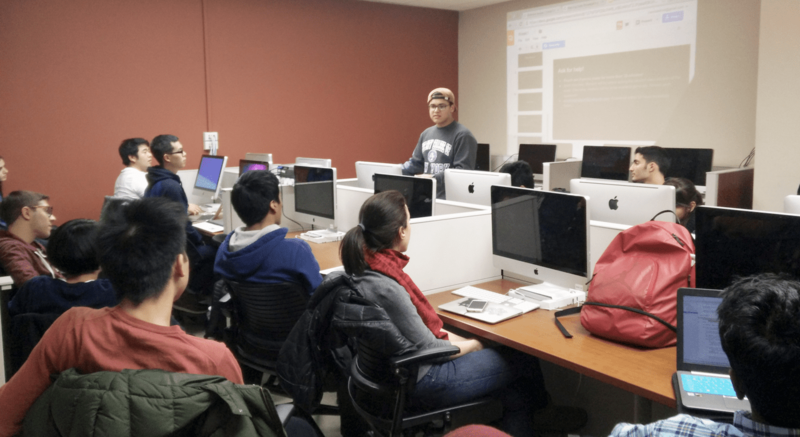 The program spanned the entire Spring semester in 12-week long project based exploration of iOS and the Swift programming language. CodePath is known for it’s extremely rigorous approach to learning that requires a monumental level of commitment and grit from students. CodePath University students were held to the same high standards that we hold professional engineers to; they attended mandatory 2 hour class sessions twice a week and were required to complete and submit a weekly app assignment that often required 10+ hours of work outside of class. 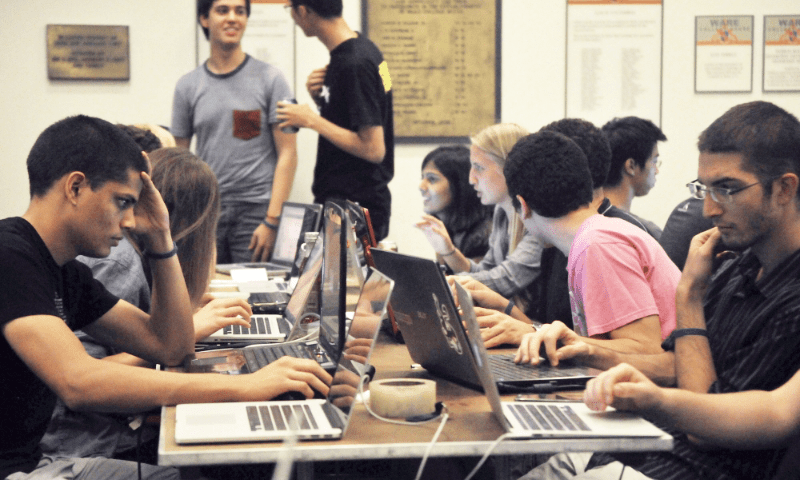 The coding madness continued even on weekends during remote Saturday Hack sessions where professional mentors were online to help students trouble shoot their projects and fix bugs. Some Universities even organized their own in-person meetups as well as plugging in remotely. Due to the scale and geographical locations of all the Universities who participated, we had to take a unique approach to instruction. Each program had 3 student leaders who applied and were selected ahead of the class start. Student leaders worked tirelessly ahead of the students and communicated with us in order to facilitate instruction and support during the in class sessions and labs. Without them and without their leadership, these classes wouldn’t have run as smoothly as they did. In the next round of classes, student leaders will be alumni from the previous class. Each school was assigned several professional mentors who were all alumni of our professional engineering programs. More than 40 mentors met with student leaders on video calls to help prep them for each week. It was the Mentor’s job to help provide context, insights on industry best practices and help guide students as they collaborated on their group project apps. The culmination of the course was an original app created by students working in teams. Students presented their apps during a Demo Day event at their university. By the end of the program CodePath University teams had created over 50 original apps. The quality and creativity of all the apps was amazing, especially considering that students entered the program with little to no prior experience working with iOS and the Swift programming language. We are excited to share with you the app videos from 4 teams that really stood out for their compelling use cases, technical execution, design and creativity. Dine is a location based platform aiming to help you find a lunch buddy and plan meals more easily. With Dine, you can create a dining event with friends sharing location and chatting with each other. More importantly, dining with strangers nearby is also supported which offers a new way of social networking. Dine is developed by Yi Huang, Senyang Zhuang and You Wu of Texas A&M. The Muse is an iOS application that brings the experience of the Fordham University Museum of Greek, Etruscan, and Roman Art into the digital age. With the app you are able to navigate through the Museum’s expansive collection, learn unique details about each object, and even listen to real Fordham students describing the objects. Muse is developed by Michael Gonzales and Michael Ceraso of Fordham University Rose Hill Campus. The SF Art Opening app is for anyone already in the art community, interested in joining it, or just looking to have a fun night. This app was designed with ease of use and utility mind. You can use the app to quickly find art openings in San Francisco, and then quickly get a ride share to the event. While you’re at the gallery, you can use the chat feature in the app to chat with other people there. Whether you’re an artist wanting to communicate with enthusiasts, or a shy person looking to talk to others about the art, the chat feature is for you. SF Art Opening is developed by Christopher Soria, Juan Hernandez and Christopher Soria of the City College of San Francisco. Quick to find, Quick to play, QSport is the revolutionary app that will change the way you play pickup sports. It allows users to play any pickup sport on the fly. For any sport from A to Z, QSport gives users the opportunity to meet and play against anyone in the area. Not only does it provide easy access, it also allows people to get together and play on a team. Never again will you arrive at a court empty-handed. Qsport is developed by Rupin Bhalla, Rishi Pulluri, Vincent Le and Sean Crenshaw of Virginia Tech. A huge goal of the program is to help students secure internship opportunities. Along with the knowledge and skills students learn throughout the course, they finish the class with an amazing portfolio piece in the form of their group project. Students who went through CodePath University both on their own and with our help secured internships at various companies including: Google, Yelp, Apple, Amazon, Slack, Capital One, MakeSchool, State Farm, Philips, Blackstone, Morgan Stanley, Sony and more. The first run of CodePath University taught us that there there is an incredible well of untapped and largely invisible potential. Talented engineers are everywhere but too often, students with high potential are at institutions that provide few opportunities and outdated curriculums. We are excited to continue building and scaling Codepath University both locally and internationally. Over the next couple years, you’ll see many more courses added for students across areas like Android, Web Security, and React. We will work to bridge the gap not just between industry and universities but also across the socio-economic boundaries. Want your company to sponsor CodePath University and reach thousands of college engineers? Sign up for updates here. Congratulations again to all the students who completed this first round of CodePath University. It was not an easy road. Completing this program required truly monumental levels of commitment and grit from the students. You should be proud of your hard work and your accomplishments. To bridge the gap between industry best practices and what’s taught in academia we plan to have CodePath classes running in hundreds of universities within the next three years. CodePath has spent years training senior engineers and designers inside of companies like Facebook, Dropbox, and Google on the latest technologies in mobile and web development. We believe that bringing the same classes to universities and introducing modern technologies like iOS, Android, and Node.js in the context of building practical apps will complement the traditional computer science curriculum. As students near graduation, this can also help expose and prepare them for the thousands of opportunities in tech companies in Silicon Valley as well as other tech hubs. However, this program is not just for existing computer science students. We believe that introducing technology through building web and mobile apps will attract a diverse population who had not previously considered computer science. By the time I entered college as a Computer Engineering major, a nerd father, nerd summer camps, and years of nerd training prepared me well for my freshman year. With several programming languages under my belt, I felt at ease in the early logic and algorithm classes. And yet, in 1999, I had a vague sense that I was on the sidelines as my more adventurous friends were tackling PHP and throwing around words like “shopping cart” and “session cookies”. By the time I decided to explore more, it seemed like the crowd had already moved on to Cold Fusion and ASP. I still remember the general sense of frustration and confusion I felt after graduation as I was trying to understand the actual technical landscape that was so different from my textbooks. This is not a condemnation of computer science programs. Critics of traditional degree programs will sometimes cite the fact that, in practice, most programmers don’t write compilers or operating systems or rebalance binary trees or route through graphs. While it’s true that web and mobile apps require a completely different set of tasks, I don’t regret learning the fundamentals. You can be a successful car mechanic without ever learning about the principles of combustion or aerodynamics, but you’ll probably never build your own race car. However, there is a distinct gap between what’s taught in school and what’s practiced in industry. Our courses are designed to run in conjunction with university programs and bridge that gap. As students prepare for the transition into industry, the practical skills we give them will open thousands of doors. On the flip side, companies spend millions on university recruiting, focusing on only the top 50 schools and running interview drills that they know to be imperfect assessments. 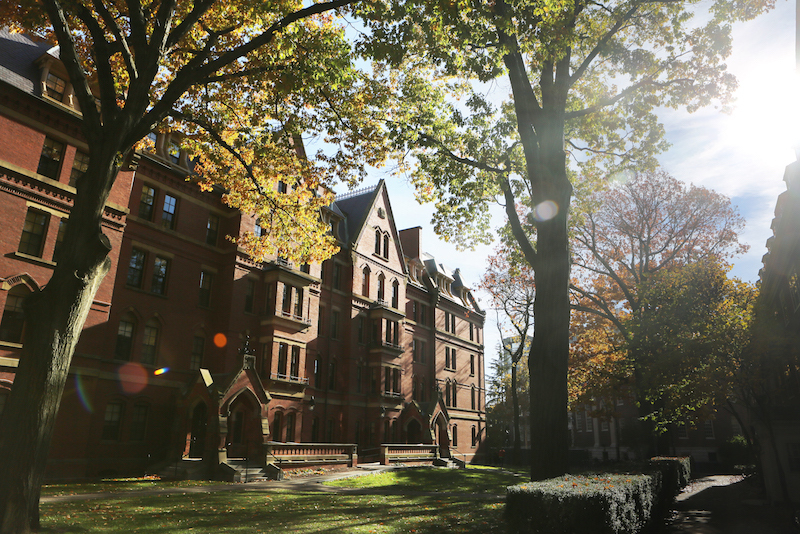 We hope that our program will pave the way for students from thousands of colleges and universities to discover and prepare for the opportunities they’re looking for. Earlier this year, we ran our first university class in iOS development for a group of 20 Stanford students sponsored by Andreessen Horowitz. Our instructor co-taught with a student instructor and a team of three TAs, and students participated either for independent study credits or no credits. We used the same policies that we have for our professional classes: unexcused absences or incomplete weekly projects will result in being withdrawn from the class. Despite having overburdened class schedules and other commitments, 15 students were able to successfully submit all projects and present a final group project which is an app they designed and built. Students in the program connected with senior iOS engineers from Wealthfront, Amazon, Linkedin, and Nest. Andreessen Horowitz also agreed to provide access to their portfolio of companies to all students in the program. 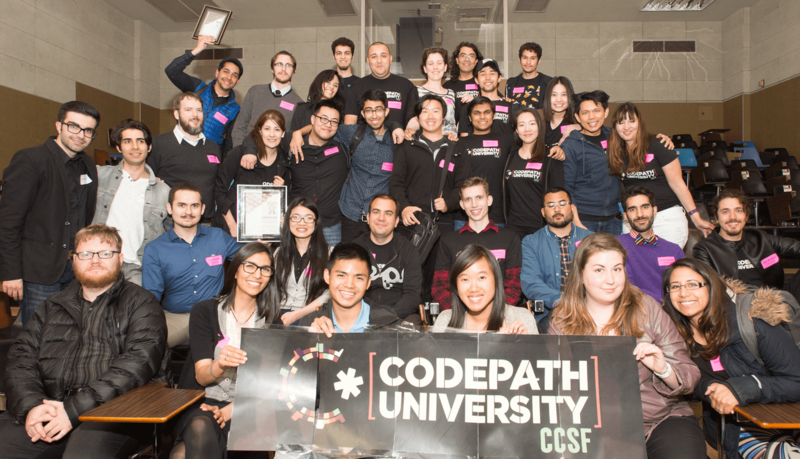 To top it off, CodePath provided a $5,000 cash prize to the top student projects. This program is not just for senior computer science students. Over the past few years, we’ve run an extremely successful program teaching designers how to build native mobile apps that was initially created for Facebook. Even though the designers have limited or no programming experience, they’re driven to create the apps they can see in their imagination. 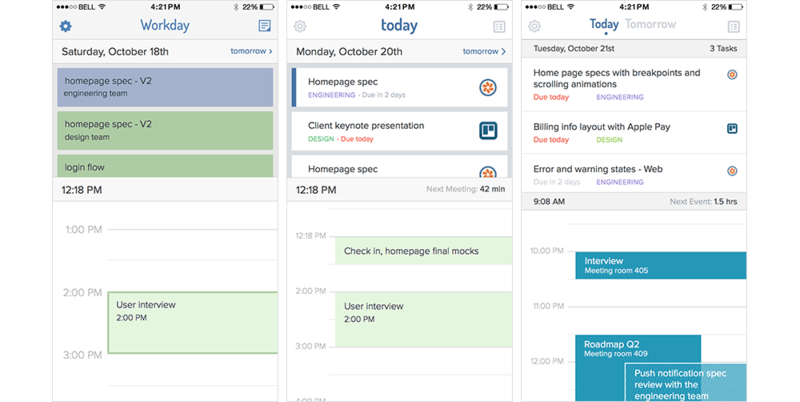 The class isn’t just about building apps like the one shown below. Designers gain confidence in their ability to pursue their own ideas, can work more seamlessly with engineers, and earn greater respect from their more technical peers. Teaching designers successfully has helped us confirm that programming can be learned relatively quickly even by those with no prior experience. Unfortunately, in many universities there is a belief that only those who have been programming since childhood or with exceptional abilities in math or logic can learn new languages in a reasonable timeline. Furthermore, programming is rarely thought of as a field for those seeking to express creativity in their work. We believe that a big part of the achievement gap in programming is in fact a motivation gap. Most non-technical people are puzzled when programmers refer to themselves as the creative type or go on about the joys of seeing their ideas come to life. It doesn’t help that most introductory programming courses emphasize that the field is only for the ‘logical’ and the ‘gifted’. It’s no wonder that most creative, intelligent young people steer clear of dreary computer science classes. We believe that a big part of the achievement gap in programming is in fact a motivation gap. By motivating students with a clear vision of the things they can create, they’ll be inspired to learn more and to get through the difficult parts of the learning process. We’re in the early days of our university program, but we’re excited by the impact that we’ll have in this community and beyond.